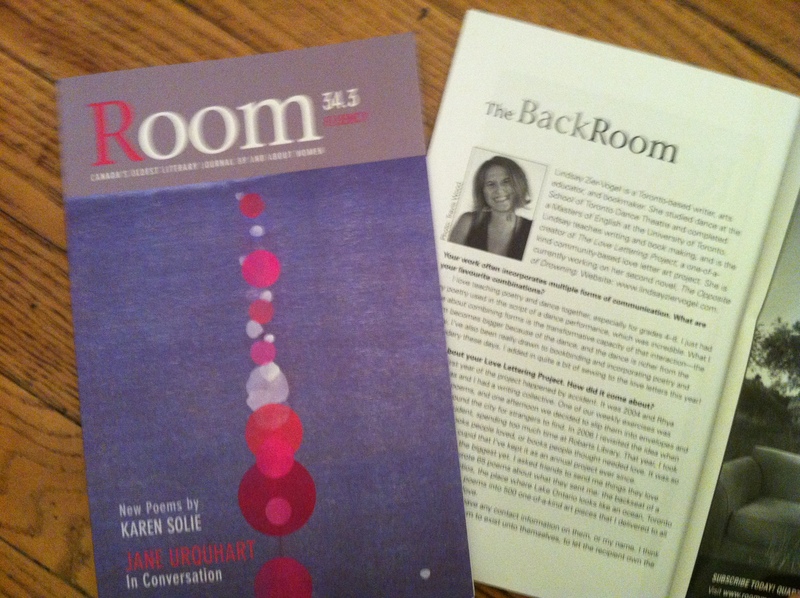 I am honoured to be included in the newest edition of Room. They published my very first published poems way back in the day and the incredible assistant editor, Brigid MacAulay wrote a spot on The Love Lettering Project for the “Back Room” section of the journal. Such an honour to be sharing the pages with Fiona Tinwei Lam and Karen Solie.